Lovely, little lava beads! How awesome that these little stones once flowed from the earth! 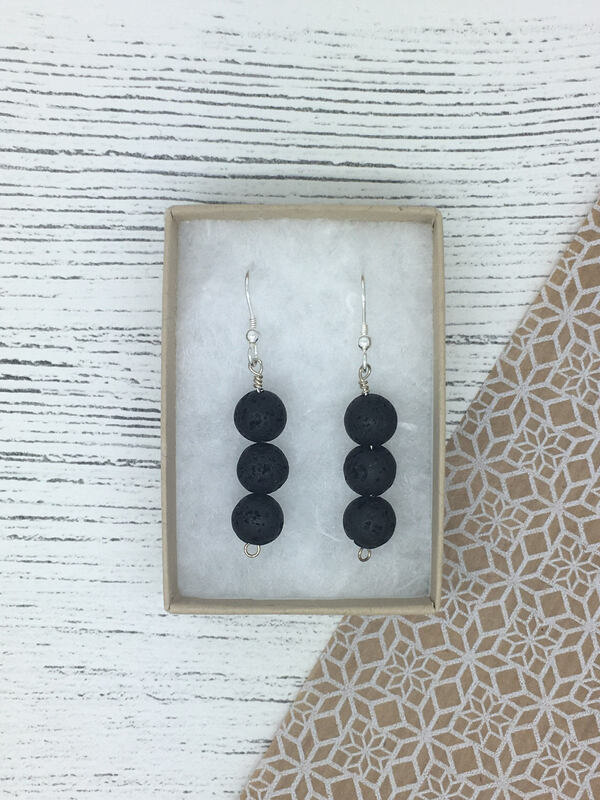 You can choose one, two or three round lava beads to dangle cheerfully from your earrings. I use sterling silver hooks and findings which add a nice contrast to the black stones. 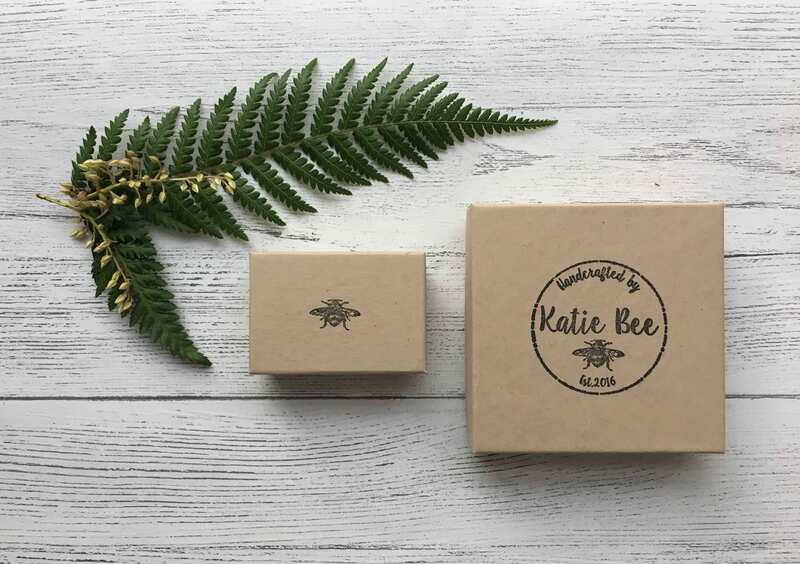 Every pair of earrings comes in it’s own recycled kraft box, stamped with the Katie Bee bee. The box contains a white, non-tarnishing cotton fill to keep your earrings safe. Gift wrap is now available if you wish to make these little beauties that little bit more special! it was a perfect gift, thanks!